Winterfalls Ranch produces Peruvian Gold Organic Llama Manure products. We derive our products from the organic llama manure produced by the Winterfalls Ranch llama herd. 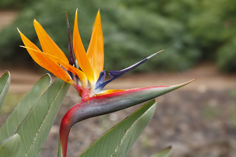 We use sustainable products in our fertilizers and amendments, but do not use products from commercial animal processors such as blood meal, bone meal, bird feathers, or fish parts. Peruvian Gold Organic Llama Manure Products do not stop at NPK, they provide additional benefits that only an organic product like these can deliver. Peruvian Gold Organic Llama Manure products stabilize the soil pH and provide a variety of macro, secondary, and micronutrients. It feeds the beneficial life that lives within the soil. Plants growing in soil or media enriched with Peruvian Gold Organic products will be able to use nutrients from the soil/media more effectively, be less stressed, healthier, and more resistant to pest and diseases. All of this contributes to a holistic approach to a long-term, low stress, healthy environment for your lawn and plants. 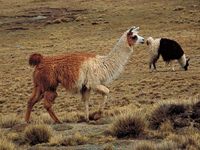 Coming from the high elevations of the Andes where vegetation is sometimes scarce, llamas have developed a unique digestive system, (i.e. three stomach chambers), that allows them to get the most nutrients from the food they eat. Their digestive systems are so effective that they produce manure with lower organic content than other livestock. This allows llama manure to be spread directly on to plant and seedlings without burning. Due to this highly efficient digestive system the llama manure is lower in undigested vegetable matter content than manures of most other livestock and by digesting so completely, very few seeds ever pass through the llama’s system. Compared to other livestock manure, the nitrogen, phosphorus, and potassium content of llama manure is comparatively high.